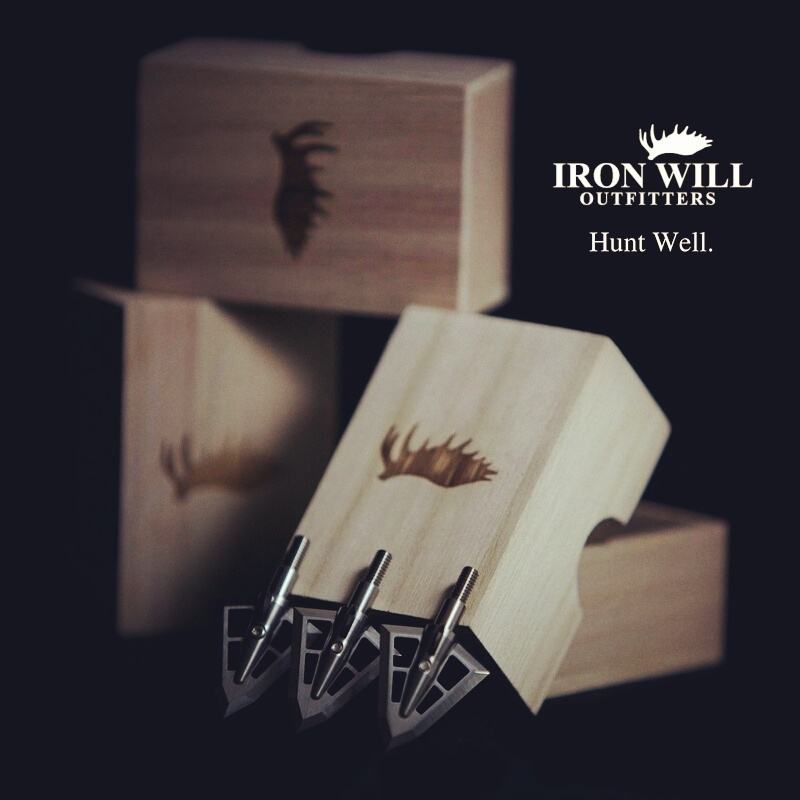 At Iron Will Outfitters, we make high quality broadheads for bow hunters who love the chase; for hunters like us. For those who aren't merely content listening to hunting stories, but instead choose to boldly create their own adventures. "Now I have been a bowhunter for longer than I can remember and I have killed many different animals with my bow, but never have I seen such a blood trail." 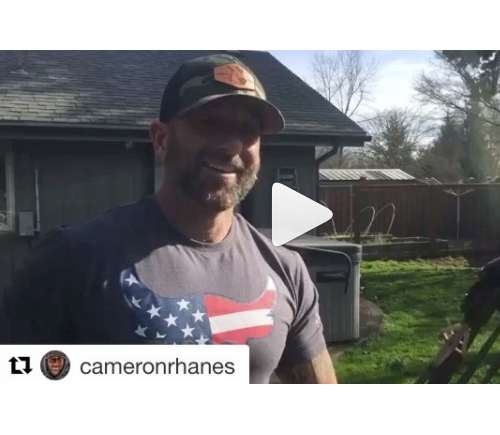 "I wanted to compliment you on the best broadhead I have ever used. I recently took an Alaskan-Yukon moose with your v100 broadhead. The first arrow passed through the first shoulder and embedded on the shoulder on the opposite side with such force I could not get the broadhead out of the bone even though it was still in one piece. That shot dropped the moose in his tracks and although he managed to struggle to his feet I put one more through the lungs with a complete pass through and he did not make it 30 yards. I might also say the shots were at 50 yards which was impressive performance for such a large boned animal. 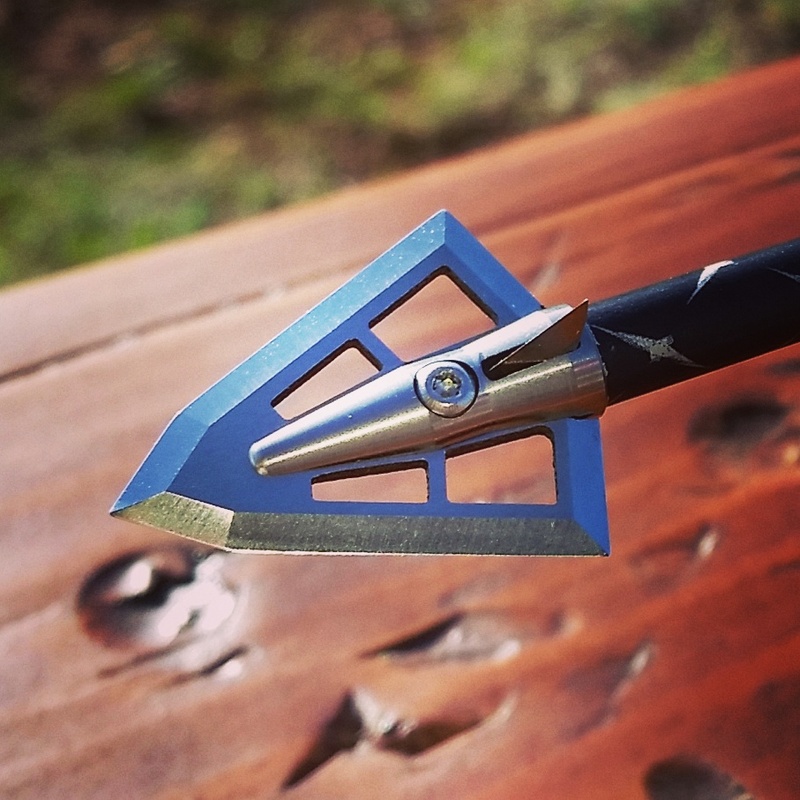 Besides durability these broadheads are incredibly true in flight and I didn't have to perform near as much arrow to broadhead tuning as I have with other broadheads including mechanicals. Great product keep up the good work!" "The second arrow passed through him with such remaining speed/energy that it completely split a 2” sapling 20 feet on the other side of him." "When the storm cleared enough for us to glass this bull, I knew we needed to make the most of the opportunity. These are the moments Iron Will broadheads are made for." 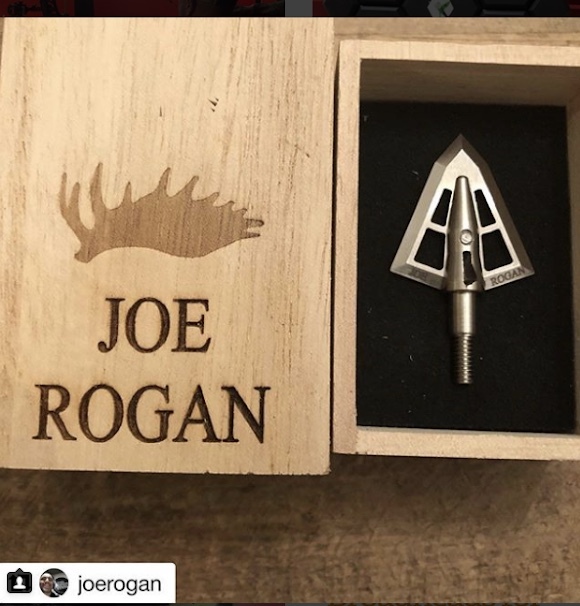 "I wanted to reach out and say thanks for the broadhead. From a downward angle, my twin brother Trevor’s arrow shot completely through the front shoulder blade and exited through the last rib of a cow elk. I then took the same broadhead and made a 57 yard shot on a bull elk, again resulting in a complete pass through. Arrowhead showed little sign of damage in the end. Now that I’ve found the arrow, I will attempt to shoot another cow if possible." "For bow hunters that go the extra mile, much culminates and rides on a successful shot. I engineered the Iron Will Outfitters v100 and v125 broadheads so when a trophy bull is down range, I can trust my broadhead to finish the job and perform as well as science allows." We stand behind the strength and durability of our broadheads. Others say it, we actually do it. No limitations, no stipulations, no jumping through hoops. If your broadhead breaks for any reason, Iron Will Outfitters will replace it, free of charge.